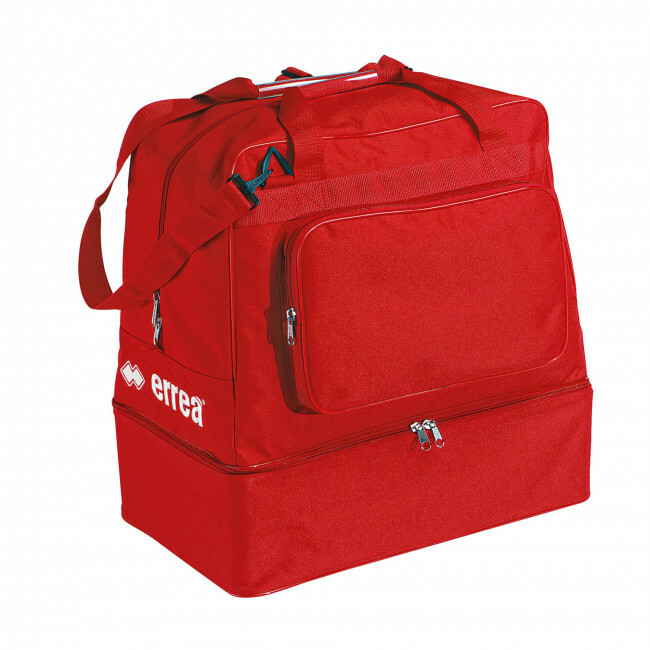 Bag made of polyester with front pocket and shoulder strap. Shoe compartment (separate rigid shoe box). Size: 40 cm high, 23 cm deep, 34 cm wide.